Wall Street is punishing Netflix for a mediocre quarter. But don't feel too bad for it just yet. 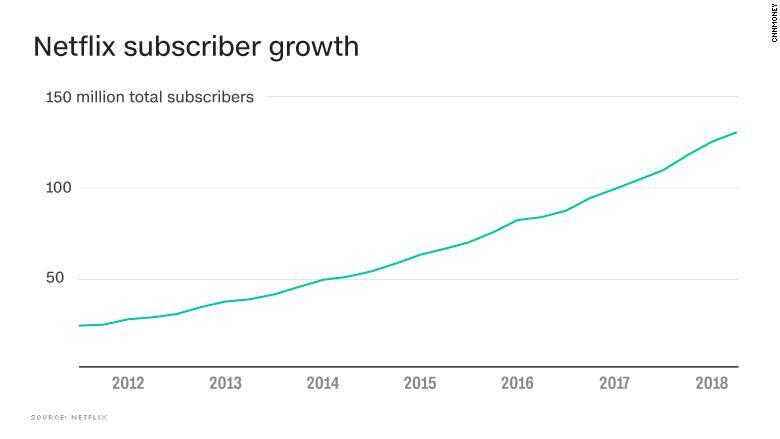 Sure, Netflix (NFLX) might have missed its subscriber target by 1 million customers last quarter. But it still has 130 million people tuning in around the world. "They have a bulls eye on their back," said Daniel Ives, an analyst at GBH Insights. "Look, they are on the top of the mountain right now. They are miles ahead of their competitors." Hulu, for example, just passed 20 million subscribers in May. That service also doesn't have the same international reach that Netflix does. Disney (DIS), meanwhile, is often considered a major threat to Netflix. But its competitive streaming service isn't expected to launch until next year. Analysts at BMO Capital Markets upgraded Netflix to "outperform" and pointed to the opportunity the company has to grow in countries like India and Japan. BTIG Research analyst Rich Greenfield raised his price target to $420, citing the "breadth and quality" of Netflix content as a key factor in its continued success. Netflix earned 112 Emmy nominations this year, topping longtime premium TV king HBO. Disney is already mounting a formidable challenge. It is close to finalizing a deal for the movie studio assets of 21st Century Fox (FOXA), a pairing that would also allow it to inherit Fox's share of Hulu and control a majority stake in that service. (Comcast controls 30%, while AT&T (T) controls 10%). Disney and Comcast (CCZ) are also fighting over the European broadcaster Sky, which would expand either company's footprint overseas. AT&T's HBO is another major factor. That service has at least 142 million viewers around the world including cable subscribers, according to Bloomberg. The New York Times has also reported that its executives have acknowledged the need to make more headway in streaming. (AT&T also owns CNN). Netflix also has to face competition from tech's most powerful companies, like Apple (AAPL) and Amazon (AMZN). Amazon is already streaming originals through its Prime Video service, while Apple is investing heavily in its own content. Analysts at MoffettNathanson on Tuesday pointed out that Netflix's focus is narrower than its tech rivals. Amazon, for example, is defined by its massive shopping business. "There is little sign that rivals are falling away," they wrote. "In fact, as Netflix noted, other larger, better funded entities are entering this space." "While the rewards are clearly there for breakthrough content like 'Stranger Things,' it is much more expensive and riskier, in general, to fund original productions as replacement content," the analysts wrote, referencing the popular Netflix show. And if it really wants to boost its moviemaking credentials, Netflix could try to acquire a studio, said Ives, the GBH Insights analyst. He suggested A24, the company behind "Moonlight" and "Lady Bird," as a good target. 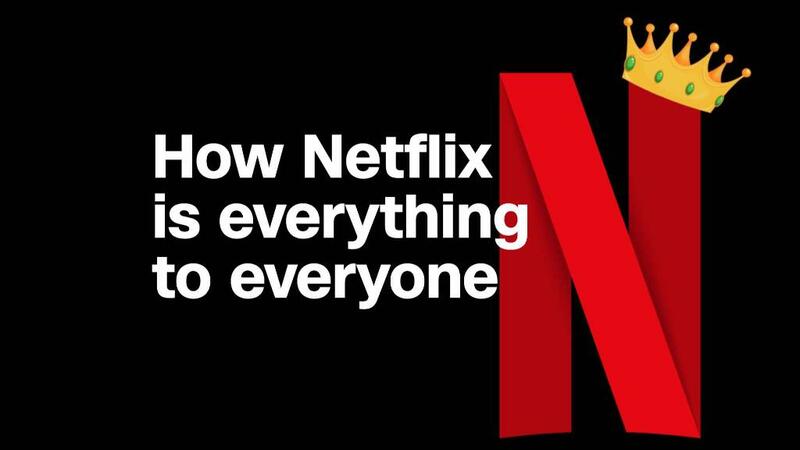 Netflix, for its part, does not appear too worried. CEO Reed Hastings called the competition "all normal and expected" during a broadcast for investors Monday.